Soapbox Theory has a guest! 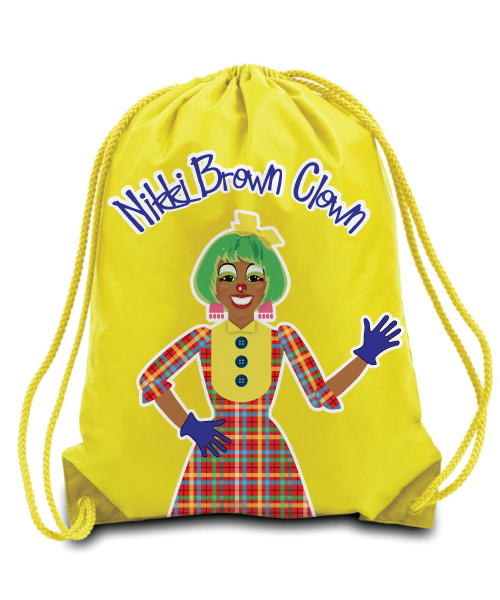 Nikki Brown Clown is local favorite - bringing story time, healthy lunches and soul to children's entertainment. Like our other popular children's back packs, these are made with 210D Nylon fabric. 14 x 18 inches. Color-matched DUROcord drawstring; 3 to 6 times thicker than the industry standard for comfort. Matching metal grommets.